The prominent physicist Albert Einstein is said to have predicted: if bees ever die off, humans will go extinct four years later or so. Maybe he really said that, but it is likelier that these words were misattributed to him; still, humanity ought to give them a thought. 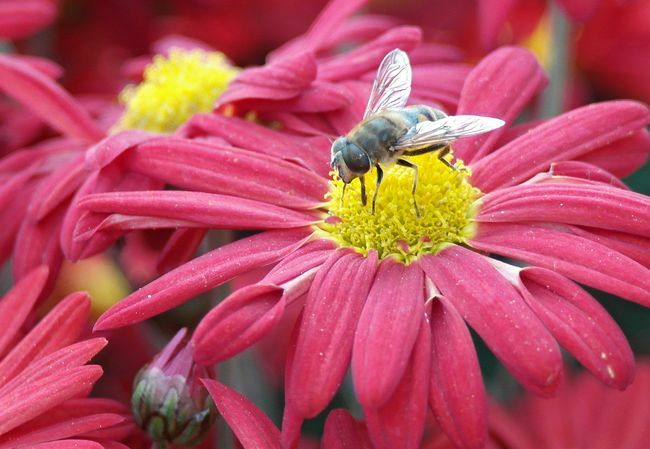 It is because the list of plants that do not yield fruit without insect pollinators is quite long. Moreover, 80 percent of the pollination work is carried out precisely by bees, because butterflies, flies or wasps, of course, cannot work the huge areas that are needed by humans. Thus, scientists, beekeepers, and farmers are increasingly frequently sounding the alarm and calling for bees to be protected, considering that the main cause of their extinction is poisoning with pesticides and pathogenic microorganisms. Many plants are pollinated by wild bees as well, which still manage to survive under natural conditions, making nests in the hollows of trees, at the entrances to caves or even under rocky protrusions. They almost never get sick and can survive a severe winter with the ambient temperature falling to 50 degrees Celsius below zero. But wild bees are special not only in their higher working capacity and endurance, but also in low levels of anger, as they rarely bite and chase after those who disturb them, so that such scenes can be seen in cartoons alone. Do you remember how Winnie the Pooh tried to escape from such bees? But, just as “domestic” bees (and maybe more so), they also face extinction under the current conditions. Therefore, some species of wild bees are protected in Ukraine and elsewhere. The Red List of Ukraine includes eight species of bumblebees and several species of wild bees (mason bee, Dasypoda). To preserve the populations of disappearing insects, including wild bees, people create entomological sanctuaries. In particular, there are 16 such sanctuaries in the Rivne region. The entomological fauna of these territories is represented by many species, among them the regionally rare species of insects included in the Red List of Ukraine. For example, such species include stag beetle, musk beetle, and Old World swallowtail in Riasnyky and Miatnyky sanctuaries. Hrushvytsia and Kolodenka sanctuaries host populations of gray forest grasshopper and gray click beetle, green grasshopper, violet ground beetle, and red campion. Not all adults are likely to know how these insects look, and children have seen them mostly in books alone. This is despite their parents probably having done a lot during their own childhood to reduce the population of deer beetles, grasshoppers, and even swallowtail butterflies – do you remember how many of them you caught and put into little boxes to admire and show to friends? However, most entomological sanctuaries in the Rivne region were created specifically to preserve the breeding places of wild bees and bumblebees. They are protected in Syniv, Moshchanytsia, Stupno, Buderazh, Korshiv, Steblivka, and Ozeriany sanctuaries. Logging, grazing, and mowing are restricted in these “zoos” for insects, and the use of any chemicals is prohibited as well.